The commercial hub of the Pacific Northwest, Seattle has a thriving shopping scene, whose epicenter is in downtown. Here’s where to shop in Downtown Seattle, from an upscale shopping center to a number of independent boutiques. Ugly Baby is a fun and colorful shop in Seattle’s famous Pike Place Market. Come here to shop the quirky and eccentric side of Seattle with artsy t-shirts, DIY crafts for kids, as well as a number of different nic nacs and toys. Ugly Baby. 1430 Western Ave. This is one of the best gift shops for travelers to visit in Seattle. Focused on goods created by local vendors, Made In Washington has a number of interesting treats including salmon jerky, funny guide books, dog treats, local works of art, and a whole lot more. Made in Washington. 1530 Post Alley. 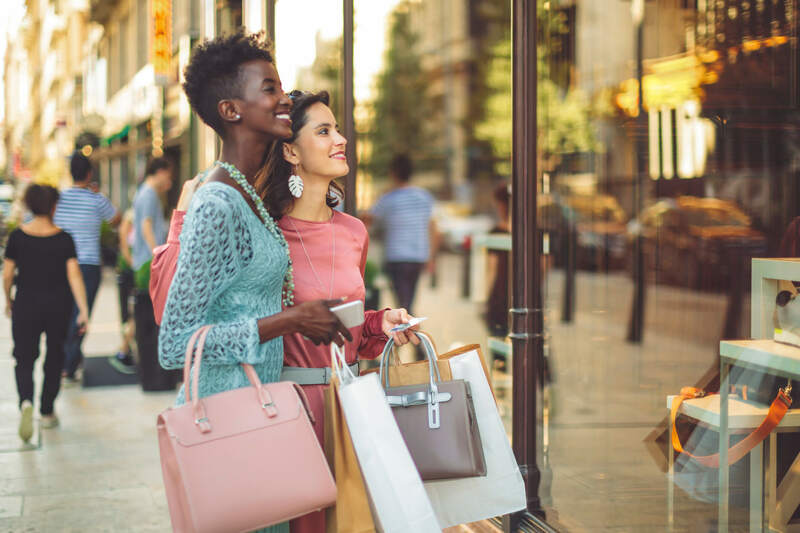 One of the best places to go shopping in Downtown Seattle, Moorea Seal is a comprehensive women’s store with handcrafted jewelry, the latest fashion trends, home decor, and handbags. If you’re looking to treat yourself while shopping in Seattle, this is the place to do it. Moorea Seal. 1012 1st Ave.
Travelers looking for something uniquely Seattle can also check out this gift shop in the downtown area for unique, area-specific gifts. Come here for Seattle-themed art, t-shirts, sweatshirts, jerseys, and other classic forms of memorabilia. Simply Seattle. 1600 1st Ave.
Pacific Place is a great place to start your shopping tour of Seattle if you’re looking for big name brands all under one roof. The upscale shopping center has been the home to many designer brand shops, restaurants, and an 11-screen AMC Theatre since the late ’90s. Come here for staples like Barneys New York, Lululemon Athletica, J. Crew, and the like. Pacific Place. 600 Pine St.